This week, we found the CUSTOMER OF THE WEEK in our own office! KARLA is our bookkeeper and a great friend. 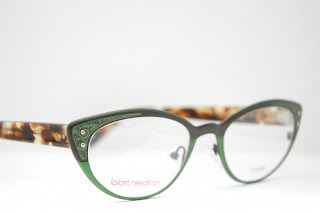 She has an amazing wardrobe of glasses including Francis Klein and Anne et Valentin, but maybe our favorite frame of all is this LAFONT frame…in leopard!!! We heart Karla! She’s one of the most stylin’ ladies around! 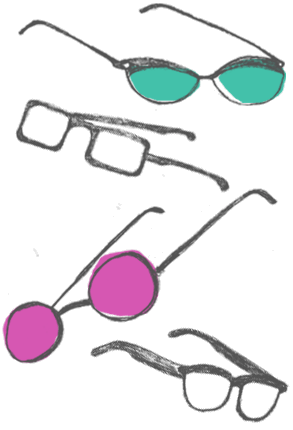 The LAFONT Trunk Show is here! Every Saturday in November we have hosted trunk shows. We are ending the our month-long celebration of new styles with a Lafont trunk show on November 28. 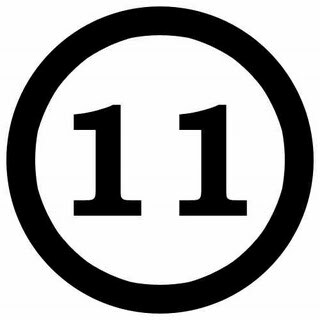 We will have the full collection including new styles you’ve never seen before…for one day only!!! For once, you’ll be looking forward to November in Chicago! Our CUSTOMER OF THE WEEK this week will be joining the Eye Spy family real soon, well, kind of… MATTHEW is engaged to a lovely lady named Alex, a longtime customer of Eye Spy! Matthew and Alex came in to the store last winter and tried on some awesome frames. Matthew kept these LAFONT frames in the back of his mind and as the wedding day got closer and closer, he found it was time to update his look before the big day! It’s true that Alex has great taste in more than glasses! Congratulations, Matthew, on being our CUSTOMER OF THE WEEK and on your upcoming (just around the corner) wedding! So many frames to choose from! Mark your calendar! The November Trunk Shows are just around the corner! Every Saturday in November we’ll be hosting a trunk show from several of our lines including Theo (November 7), Anne et Valentin (November 14), IC! Berlin (November 21), Francis Klein (November 21), Lafont (November 28). They’re going to bring the full collections including new styles you’ve never seen before!!! For once, you’ll be looking forward to November in Chicago! This week, our CUSTOMER OF THE WEEK, sent her own picture! How awesome is that? As you may know, whenever you pick up your glasses at Eye Spy, we take your picture because we like memories AND we like to show off our cool and stylish customers! 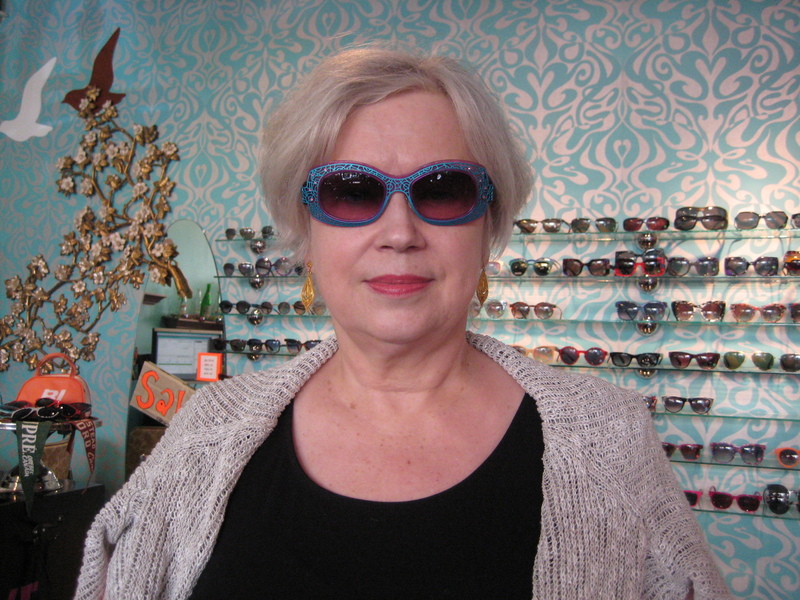 When Ann Marie picked up her new Grotesque frames, we took her picture, of course, but we missed the best part of the frame! Waitaminute, those glasses aren’t just nice, they’re AMAZING!!! 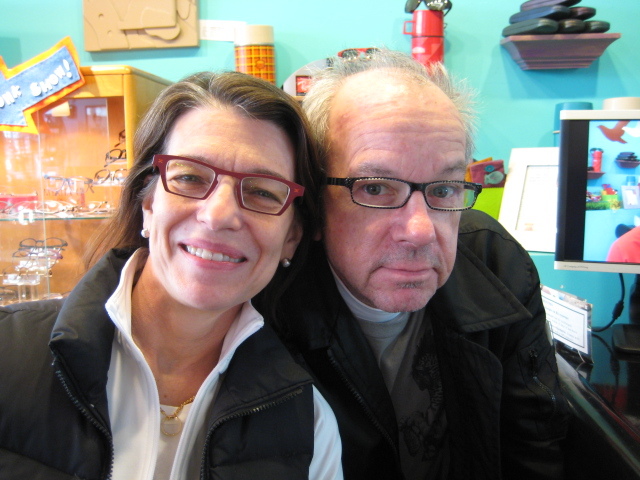 Ann Marie sent us a lovely email and attached this fun picture showing off the highlight of her new specs. 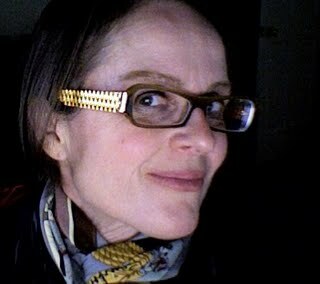 She told us that she loves her new Grotesque frames and I have to say, I agree completely! These frames ROCK! Congratulations, Ann Marie, you look SPECtacular! This week, we have TWO Customers of the week! A while back, Gray called us looking for a pair of round tortoise Francis Klein frames, we did some checking, looked up some info, and invited Gray to the store to look at some options. Gray and his wife, Arden, drove up from Indiana to check out the selection, and wouldn’t you know it, they BOTH found awesome frames! Two. of. hearts. Two hearts that beat as one. Two. of. hearts. Gray chose a Ray-Ban frame as his new sunglasses and Arden cleverly found a Lafont frame that, though designed as an every day pair, works beautifully as sunglasses! So, Congratulations to Gray *and* Arden on finding fantastic new frames! 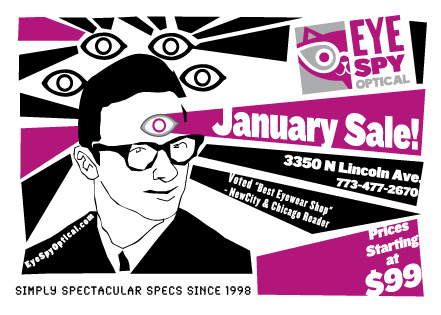 We’re glad you made the trip to find the perfect new glasses! This week our CUSTOMER OF THE WEEK is and Independence Day Special with TWO, that’s right, TWO CUSTOMERS OF THE WEEK! Catherine and Sara came in to look at glasses together and each found an adorable frame to suit their energetic personalities! Catherine found a classic Francis Klein frame with rhinestones and a detail on the temples (sides) of the frame that is simply to. die. for. 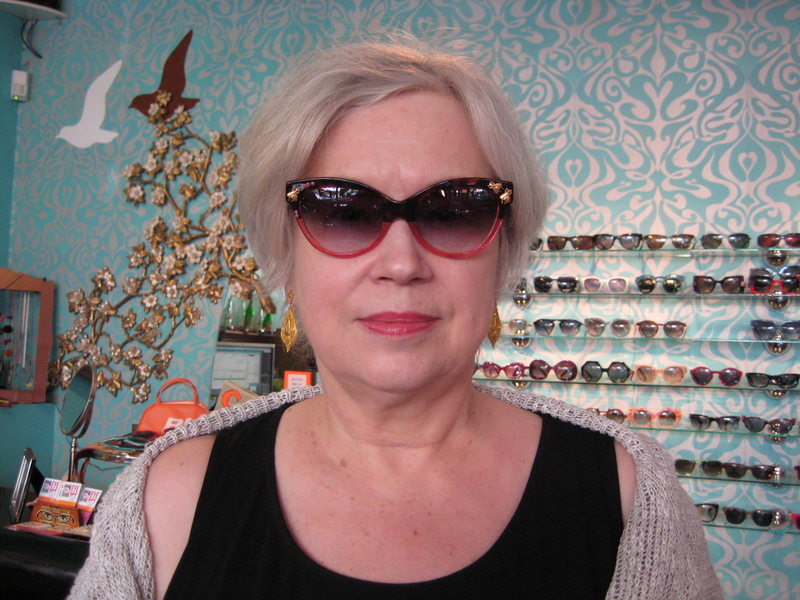 Sara was browsing the sunglasses and found a Lafont frame that fit her PERFECTLY! What a lucky day! Congratulations Sara and Catherine! You look awesome in your Francis Klein and Lafont frames!! !